VoIP Cordless IP Phones | 8x8, Inc.
8x8’s workplace wireless telephony solutions allow on-site mobile employees to roam freely throughout the workplace while delivering continuously reliable and available voice and data communications. 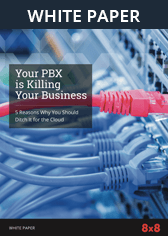 These solutions work with your existing Virtual Office phone service, providing business-grade telephone functionality to a wireless device. Use as a standalone phone for your extension or as an addition to your existing Polycom, Cisco SPA or Aastra desktop phone. 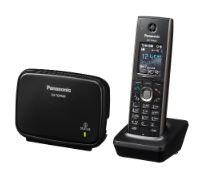 Panasonic TGP600 SIP DECT bundle includes a cordless handset (KX-TPA60) and a wall-mountable DECT base unit. KX-TGP600 is great for small or medium sized businesses.